In Japan, golf was hugely popular in the late 1980s and some country club memberships went for millions of dollars. In response to a real estate boom in the 1990s and 2000s, way too many golf courses were built and are now underused. Japan currently faces an abundance of abandoned golf courses and a huge need for renewable power sources in the wake of Fukushima. The solution? To create solar power plants on old golf courses. Kyocera has announced two projects that will begin construction next year and combined will produce 126,000 megawatt hours per year (enough electricity to power roughly 38,600 households) when they are fully operational in 2018. 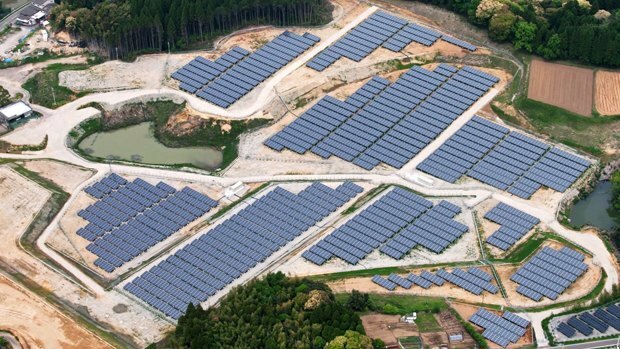 Japan isn't the only country on this solar tip; plans to replace golf courses with solar plants are also underway in New York and Minnesota.